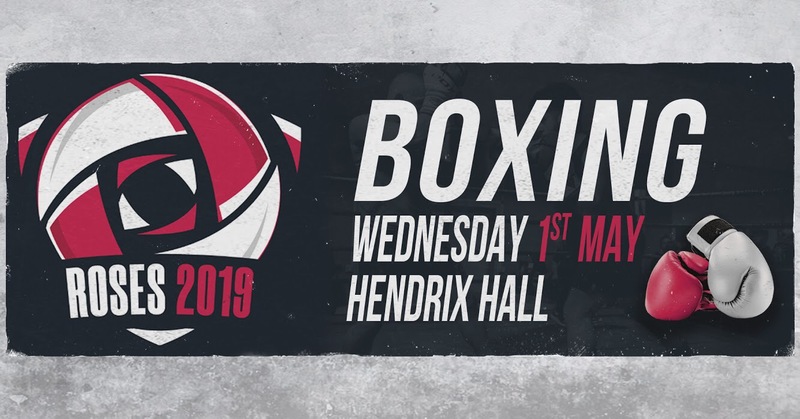 For the first time in four years, YUSU and UYBC present Roses: Boxing 2019! The event is set to be a huge event, with 10 fights that pit the White Rose against the Red! With England Boxing recognised referees and judges, and a change of venue to the club's normal fight nights, come down to HENDRIX HALL, WEDNESDAY 1ST MAY from 6:30pm! This is going to be a huge event, before the weekend of Roses itself, so come down, grab a pint (or three) from Courtyard and watch York's best boxers compete against Lancaster's finest for the win! Gives you full access to the fight night, just show proof of purchase on the door. Please login to purchase 3 ticket(s) per person.